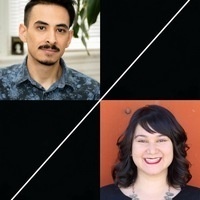 Marcelo Hernandez Castillo is the author of Cenzontle (BOA Editions, 2018), chosen by Brenda Shaughnessy as the winner of the 2017 A. Poulin, Jr. Prize. He is a founding member of the Undocupoets campaign, which successfully eliminated citizenship requirements from all major first poetry book prizes in the country. Born in the Philippines, Janine Joseph is the author of Driving without a License (Alice James Books, 2016), winner of the Kundiman Poetry Prize. She is a member of Undocupoets and Assistant Professor of Creative Writing at Oklahoma State University.